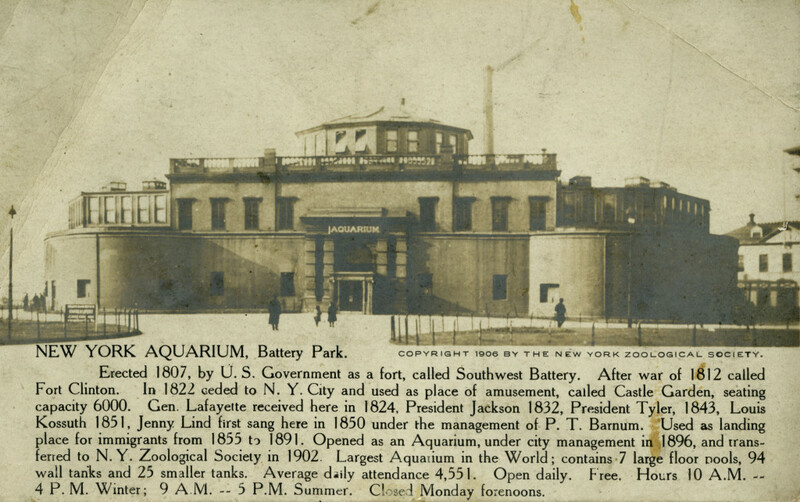 Model of “The Aquarium of Our Dreams.” Scanned from NYZS Bulletin, March 1915. 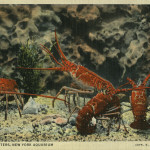 Postcard showing New York Aquarium, 1906. Scanned from WCS Archives Collection 2016. 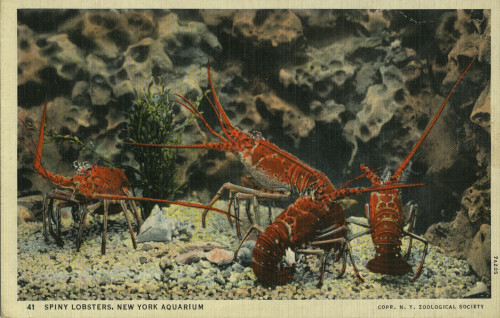 “Like the crab and the lobster, the Aquarium cannot grow without shedding its old shell.” Postcard scanned from WCS Archives Collection 2016. 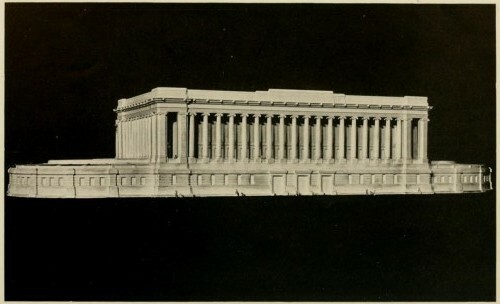 An accompanying illustration shows a model of this dream aquarium: a grand, Beaux-Arts style building reminiscent of the original Penn Station, which had recently opened. In the end, perhaps sensing that his dreams might never come true, Townsend yields: “We would rather have a real building even if it were only a little larger and better than the present one.” In fact, the City, which owned the Aquarium’s building, had already indicated that it was unable to take on the new construction, and it would be another decade—when the City was able to commit funds to extend the second story and add a third story—before Townsend would see any significant improvements. Do you think Townsend could have imagined the Aquarium’s future Ocean Wonders exhibit—even in his dreams?